One of the things that makes Germany famous is its beer. This year I’ve been to Germany a couple of times, and when I go to a place, I feel a great desire to know everything about it, above all about traditions and curiosities. Thanks to this research, we discover so many interesting, funny, curious things that enhance our love for the world and our will to explore it. 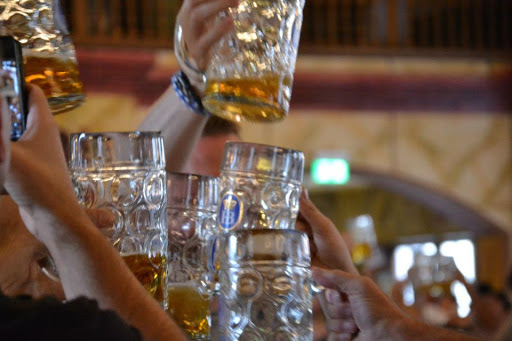 About Germany, the thing that impressed me the most, among the various peculiarities associated with its beer, is the fact that the famous taste of the beer was made thanks to an edict that, paradoxically, limited its production and the method to produce it. he Bavarian Reinheitsgebot (Purity Order, sometimes called the German Beer Purity Law), was subscribed on 23rd April 1516, by William IV and Louis X, duches of Bavaria, and forced brewers to use only water, barley and hops. Why this order was issued? Actually it was a temporary order, issued for the year 1516 only, ‘cause that year’s wheat harvest was catastrophic. Eventually, the purity law prevailed in Germany for 476 years, until 1992, years of Europe economic and trade union, when Europe obliged Germany to comply with EU laws, which imposed the import of any kind of beer. Germans, out of habits or taste, still prefer the beer brewed according to the Reinheitsgebot, for this reason. today instead of the Reinheitsgebot, there is the “Provisional German beer Law“, which allows the use of some ingredients prohibited by the old edict, such as malt, wheat and sugar cane, but doesn’t allow the use of unmalted barley. Considering that also the rest of Europe appreciate the taste of this ancient way to brew beer, would it be appropriate to re-evaluate the more genuine methods to produce what we eat and drink? Hey Buddy!, I found this information for you: "The Purity Order: why german beer is different from other". Here is the website link: https://www.viaggideimesupi.com/en/2012/09/26/the-purity-order/. Thank you.